We believe that home is the best place for your elderly and disabled loved ones to recover from any and all of the health challenges that they are facing. Frego Homecare, Inc. is your partner and guide when it comes to personalized care at home. This will greatly speed up recovery and positively improve their quality of life. We, at Frego Homecare, Inc., aim to provide high-quality and customized home health care services that personally cater to the client’s specific need. We offer a much better alternative to institutionalization because we believe that it wouldn’t be healthy for your loved ones to be away from you, especially in their physical and emotional weakened state. Our focus is providing care that would ensure an improvement in our client’s quality of life. It is our goal to create an enduring bond with you and your family that will last even beyond the duration of our services. It can be incredibly difficult for the entire family to witness an elderly or disabled family member suffering from the increasing health challenges. While a lot of stress definitely comes with figuring out how to provide them the best kind of care at home, it would be nowhere near the devastation and utter depression these individuals actually feel as they go through the various health-related issues that come with their age and condition. 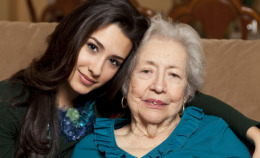 We want our clients to be comfortable and as close to their loved ones as possible as they go through this journey. Being home with the people who love and who support them would be highly essential for their recovery and guarantee their independence in life. Our highly trained and dedicated staff of healthcare professionals strive hard to improve the lives of our clients at home by administering the ideal health care plans and assisting in day-to-day activities such as personal care routines, housekeeping, and more. You can definitely trust us to care for your family members as if they were our own, and to genuinely do our best in ensuring their full recovery. Do not think of us as professionals you pay for, but rather as friends who constantly have your or your loved ones’ health and well-being in mind. It is important for us to get to know our clients and their families. We know it’s just as essential for you to meet with us to discuss the care plans of your loved ones at home since you would want to make sure that all their specific health needs can be provided for by our caregivers and the rest of our staff. If you feel the need to arrange a meet-up with our staff ahead of time, then don’t hesitate to do so. We’d be more than happy to show you how trustworthy and professional they all are, even before you take advantage of their services. Let us grant you peace of mind in these trying times and offer our guidance and support to ease the burden for you and your loved ones. We are healthcare professionals whom you can trust to aid your loved ones in this stage of their lives. We are trained and equipped with the basic and necessary healthcare procedures such as CPR certifications. We are highly-trained, knowledgeable, skilled and competent enough to guarantee that your family members would be in good hands with our experienced care providers. We have all the essential qualities that professionals in the field of home health care should possess: alert, kind, compassionate, respectful, and understanding of the needs of you and your loved ones. If you seek our help in taking care and keeping those who are dear to you, don’t hesitate to give us a call at 404-781-4160 today. You may also send an email to fregohealthcare@gmail.com.